Perhaps the most important global trend of the last few years has been the rise--and transformation--of information warfare. In the digital age, real military engagement matters less than how it is broadcast. The result is a constant deluge of lies, shock humor, absurdity, and fear-mongering--a circus atmosphere created to disorient us and undermine our sense of truth. This is Not Propaganda is a Thomas Pynchon-like journey behind the enemy lines of the endless, multinational information war. 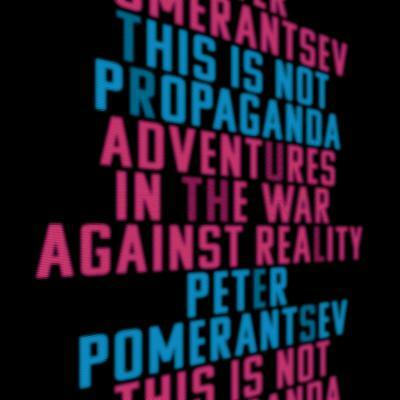 In his signature style--by turns analytical, poetic, lurid, and funny--disinformation expert Peter Pomerantsev explores the contours of this new global order. He learns information tactics from protesters in Serbia, narco-warlords in Mexico, Fox News hosts in America, and the KGB officers who forced his own family into exile.